" Direct Fit Replacement Seat Belts." Unlike our Universal Fit Aftermarket Seat belts, these "Direct Replacement Seat Belts" are designed to be a replacement for a year/model specific vehicle with no modification required! 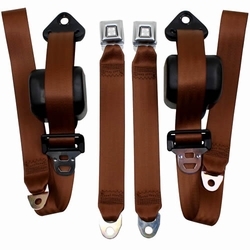 Each is a reproduction of the original seatbelt found in each year / model vehicle. 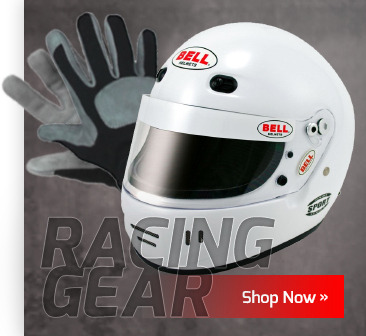 Great care has been taken to meet the original specifications of design, hardware, webbing (belt) and webbing length. As with all of our passenger car restraints, these are NOT cheap overseas seat belts. They are designed, sewn, assembled, fitted, packaged and Safety Tested in the USA and are SAE #J386, U.S. FMVSS #209, and U.S. FMVSS #302 compliant. Some are even available with the manufacturer OEM buckles/latches. Just confirm that you have ordered the correct replacement parts when you receive them by examining with a mock-up in the vehicle (but not bolting-in). Then, just unbolt the old ones and bolt-in the new! It's that easy! Remember, our Direct Fit models are not original OEM restraints and are only designed to fit the specific year and model auto listed. Limited Selection, more coming soon!